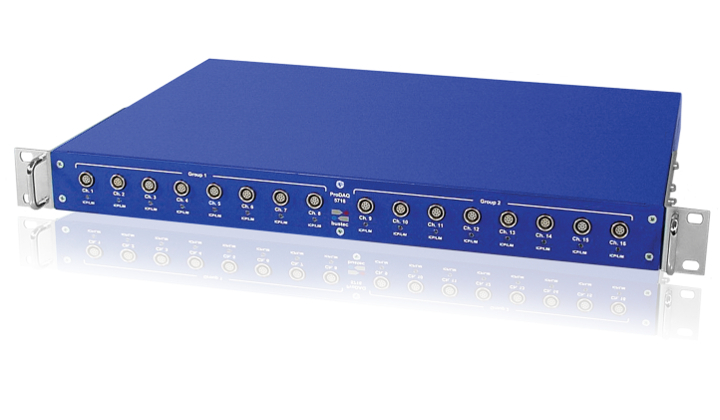 A 1U high rack-mountable signal conditioning box providing signal conditioning for up to 16 strain gage or ICP sensors. 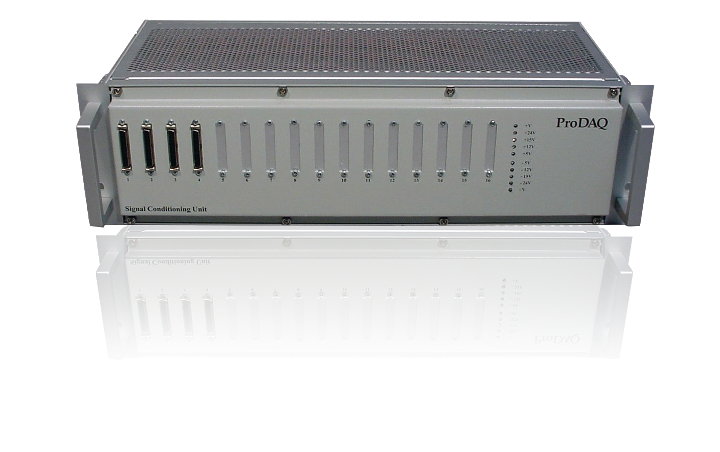 The ProDAQ 5720 Signal Conditioning Unit provides power and cooling for up to two Signal Conditioning Cards from the ProDAQ 58xx Series. 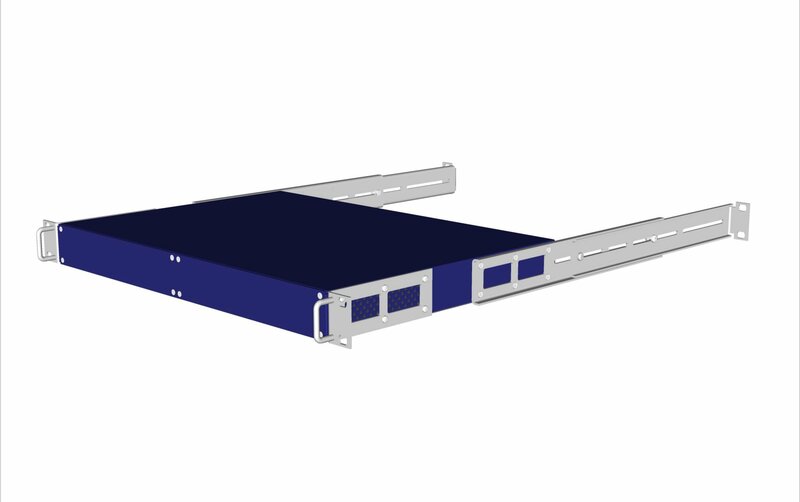 The ProDAQ 5725 19” 1U Rack-mount Kit is a flexible mounting system for all ProDAQ 19” devices with 1U height. 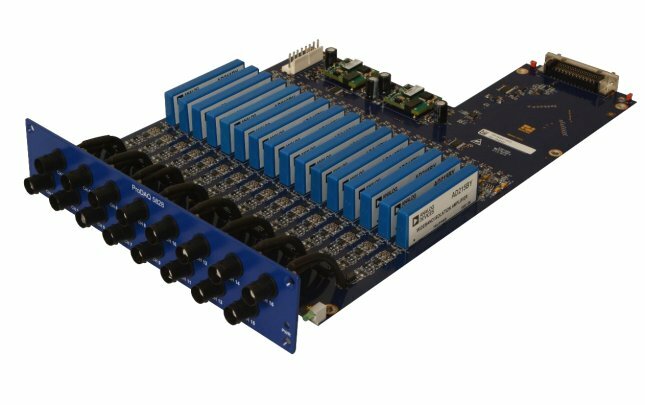 The ProDAQ 5821 series of Signal Conditioning Cards is designed to interface with a variety of sensors, principally RTDs, Thermistors, Cryogenic Diodes and Voltage type sensors. 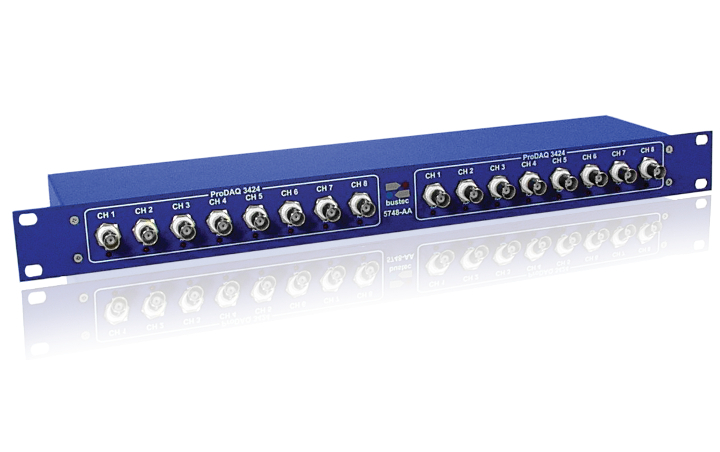 The ProDAQ 5824 Signal Conditioning Cards are designed to facilitate the interface of the ProDAQ 3424 8-Ch. 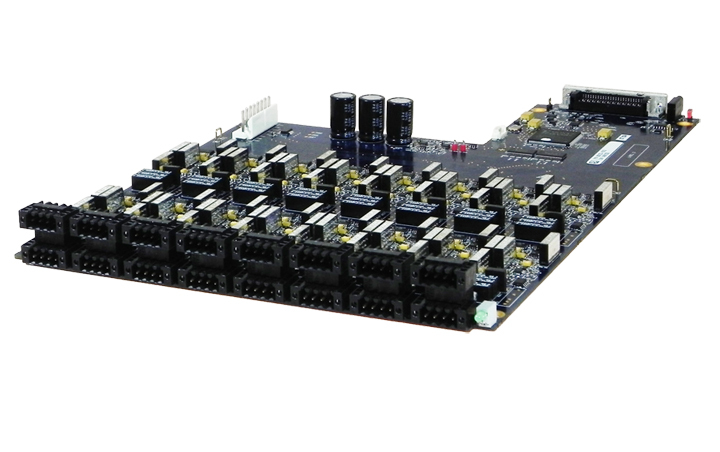 24-bit Sigma-Delta ADC Function Cards to a number of sensor types. 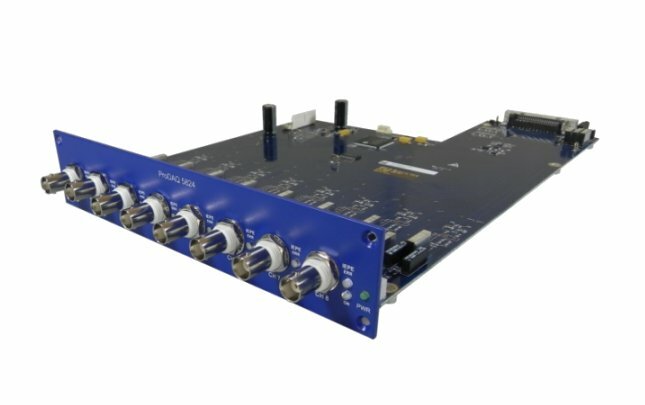 The ProDAQ 5828 Isolation Amplifier Signal Conditioning Card is designed to isolate and amplify wide bandwidth analog signals. 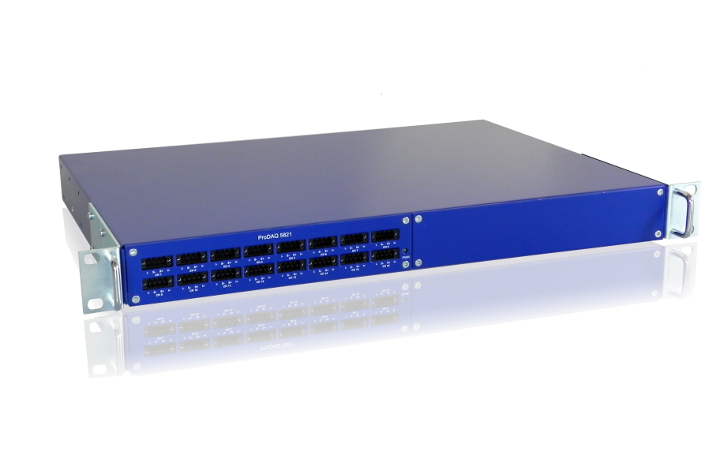 It provides 16 channels with galvanic isolation of up to 350 Vrms.